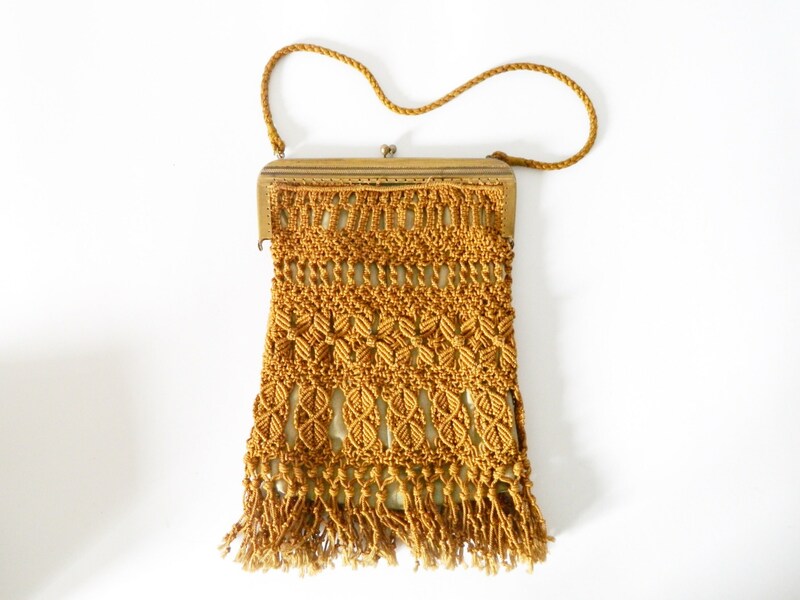 Beautiful handbag (crocheted) from the 40s. outside, the bag is in a very good vintage Condition. 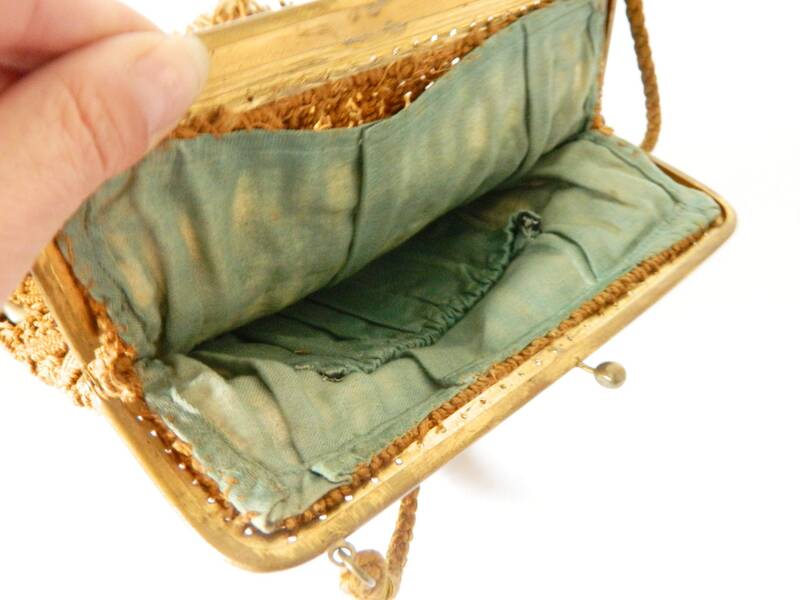 Inside it has clear traces of use. 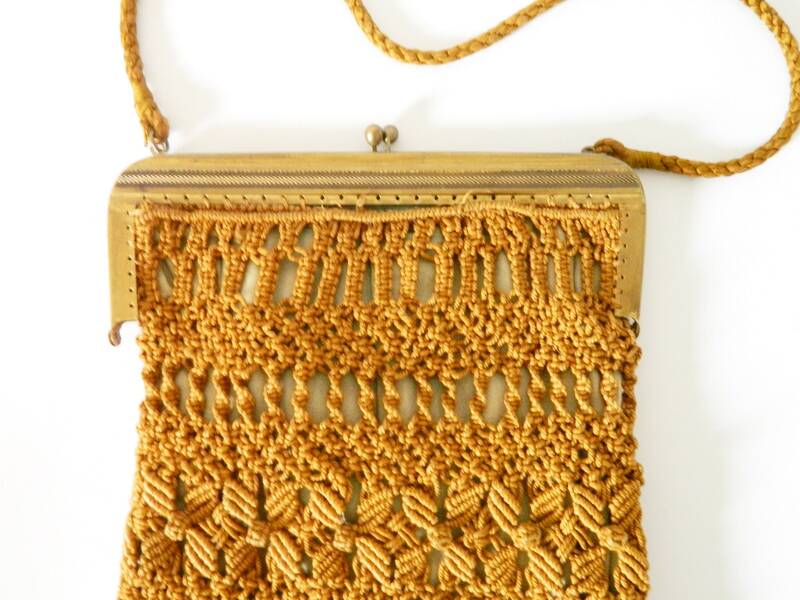 Wonderful handbag (crocheted) from the 40s. Outside the pocket is in a very good vintage State. Inside are clear tracks of the Use. 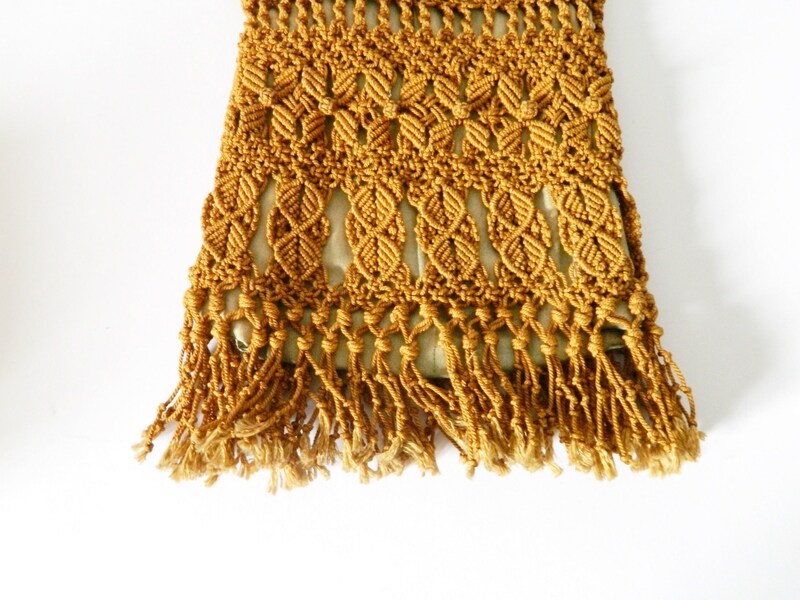 Height with fringe 28 cm, 11 "
Total width 19 cm, 7.4 "